WASHINGTON — The Pentagon has identified the Navy SEAL who was killed in a military operation in Somalia. The Defense Department says Senior Chief Special Warfare Operator Kyle Milliken, 38, of Falmouth, Maine, was killed during an operation Thursday against the extremist group al-Shabab. He is the first American to die in combat in the African country since 1993. 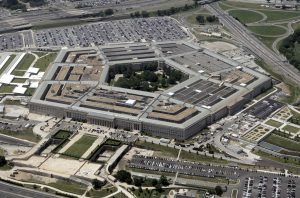 A Pentagon spokesman said Friday that U.S. special operations troops had come under fire after U.S. aircraft delivered Somali forces to the target area. Last month, the U.S. said it was sending dozens of regular troops to Somalia in the largest such deployment there in about two decades. The U.S. in recent years has sent a small number of special operations forces and counterterrorism advisers to Somalia and conducted a number of airstrikes.